Although clearly not used for wood, this was alleged to be the first chainsaw from late in the 18th Century, engineered by two Scottish doctors: John Aitken and James Jeffray. The fine serrated edges were used for the excision of diseased bone; and to remove cartilage that held the pelvis together. This instrument assisted in alleviating difficult childbirth. It was first published in Aiken’s Principles of Midwifery (Puerperal Medicine). Look familiar? It was used on bones rather than wood! 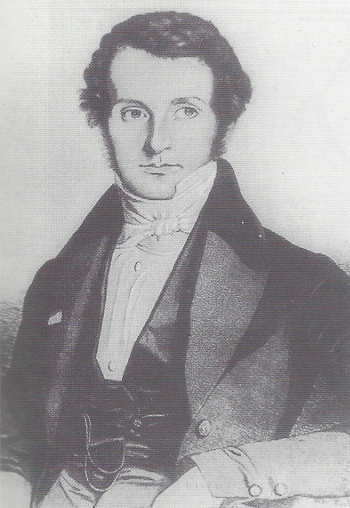 1830: According to the Canadian Medical association Journal in an article written by Wolf D. Seufert, MD, DSc, German born Bernard Heine invented the OSTEOTOME, a surgical instrument that changed the course of orthopedics, and added a new perspective to medicine. 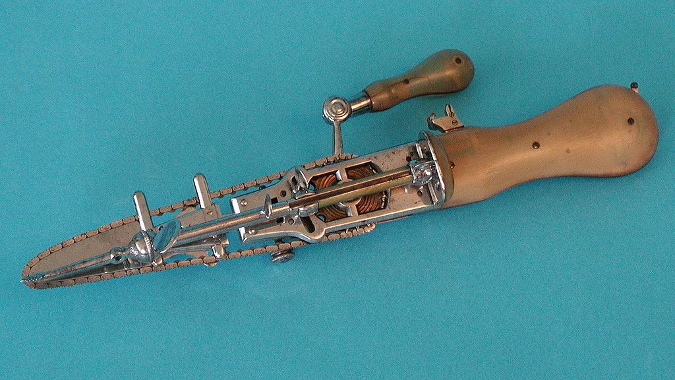 This was the first chain saw used in the practice and mastery of prosthetics. Reliable sources authenticate documentation of surgical tools, clearly validating the reality that this genius, who studied and applied his knowledge of prosthetics, is the inventor of the chainsaw. Although there are many who claim to be the initial inventor, their claims only seems to substantiate the methods he used and his designing of the product in the 1920s. The chainsaw links had small cutting teeth with edges that were slanted for ease in cutting. It was also said that a Californian inventor by the name of Muir was the first to invent a chain with a blade for logging; thereby, being the first to invent the first logging chainsaw. This machine weighed hundreds of pounds and a crane was the vehicle required to haul it around. So this invention was deemed neither useful, nor marketable, though credit could be given for his effort. 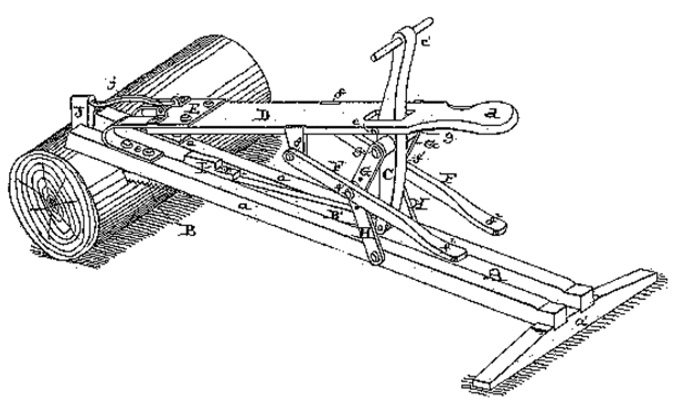 1860: HAMILTON invented this rowing-type saw that accommodated cutters for sitting; it was most likely one of the first attempts at a commercial machine for cutting wood. It was hand-cranked by one or two people. However; the size, and awkwardness while using this man-powered machine, rendered it difficult to operate. 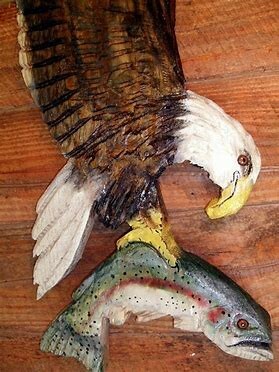 This was only an experimental venture, not intended to be a marketable item. 1926: Andreas Stihl, known as the Father of the Modern Chainsaw, patented two-man saws: Invention took place of the Cutoff Chainsaw for electric power, weighing 116 pounds; and the gas in 1929 which weighed 139 pounds. The company was founded in 1926. 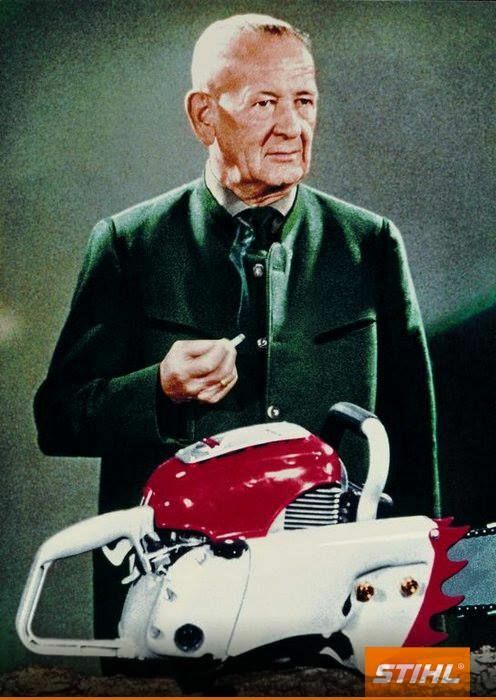 Stihl also manufactured the first gasoline-powered chainsaw which was name the “tree-falling Machine.” He earned the rights as the inventor for the mobile and motorized chainsaw, which we use today. 1931: The Stihl Company defies the global economic crisis, still producing and exporting his machines, and in 1933, the growth of the company was significant. 1936: A new Stihl company logo was established. 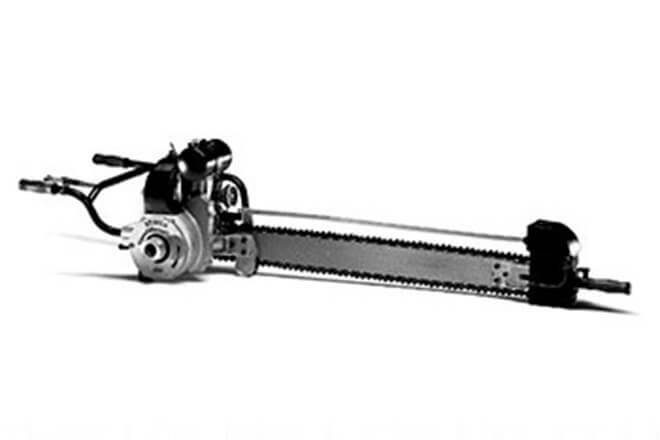 1963: Stihl launched the invention of the Model 08– a multi-purpose chain saw. STIHL’s MSE 170-250 electric chainsaw, now the pride of the company, emerged successfully in 2015. It had an additional 300 watts of added power; 2,500 watts, plus a tougher gearbox and carbon brushes with extended lifespan, and an electronic speed control! Their 1926 model could only be operated by two people, with a power output of 2.2 kilowatts, and weighed about 37 kilograms. They also carry a STIHL 090 MOUNT HYDRAULIC MODEL for underwater cutting of wood by military units. The weight of Stihl’s first two-man operated saw, invented in 1927, was over 100 pounds, and had an output of 2.2kW. 1929: Below is the Stihl type A, tree felling machine. Stihl’s first gasoline chainsaw—the “Tree Felling Machine” – weighed 101 pounds. It was designed to be operated by two individuals. STIHL’S GASOLINE CHAINSAW was designed in 1950 for use by one person, and weighed 35 pounds, unlike the bulkiness of the earlier models. Engineered in Germany, Stihl’s chain saws are built in America, and are high on performance, versatility, and dependability; maintaining the excellent standard of STIHL; the Number One selling brand of chain saws. 1988: Stihl’s released their first chainsaw equipped with a Catalytic converter. This was designed to reduce the level of harmful emissions by 70-80 percent. 1983: Inventor Ron Biehm founded RAPCO INDUSTRIES, a leading supplier for carbide tipped chain saw chains. These last 25 times longer than the steel chain saw chain. They are a global source for customers in more than 66 countries. In a world where chainsaws are most often used under severe conditions, for firewood cutting, stump removal, and other similar strenuous undertakings. Rapco meets the needs of their consumers, offering the excellence in workmanship that they expect. Their chains are easy to be sharpened using a diamond sharpener for chain bench grinders and small hand-held grinders. They own a sharpening and repair service that is a convenient resource for their customers; and the charge for such service is not exorbitant. Another benefit of choosing this company is that there is no limit to the styles of chains they manufacture, offering special designs, as well as standard ones. Testimonials from customers validate the first-rate service they provide; from the durability and service life of these chainsaw chains, compared to older models; several years of successfully using the product without having to replace it; being able to select just the perfect size to suit the individual demands; and confidence in an investment well made. Added to the remarkable performance of these chains, is the diamond sharpener, making sharpening a breeze! The energy- and time-saving features of these chains are a definite plus for laborers and others alike, and are a treasured investment. 1905: Water cooled chain saws were introduced. These were large machines with electric motors, attached to wheels and carts, and used in logging yards to cut logs to the required length. 1945: Chain saws before the end of World War II were heavy, wheeled, and operated by two people. Innovation using aluminum alloys and forged steel parts introduced the one-person saws. 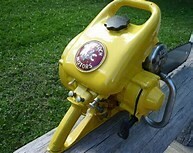 This was the world’s first gasoline chain saw (16 kgs), armed with a manually adjusted swivel carburetor, which could be operated by one person; and permitting the saw to be used on any plane without interrupting the functioning of the fuel system. Until then, there were no other viable means, but to place the saw in a suitable position to accommodate either felling trees or bucking logs. He significantly transformed the world with his invention of the chain saw—innovation that effectively shortened, and utilized the time spent on a project. They founded The Oregon Saw Chain Co. He then ventured out and opened a small casting company, now known as OMARK INDUSTRIES. 1951: Their sales exceeded $1 million, and the company became a worldwide corporation in 1952 by the acquisition of the Planer Chain Ltd., of Guelph, Ontario, Canada. Then Omark Industries was acquired in 1985 by Blount, Inc., which was then merged in 1999 with Lehman Brothers Banking Partners. 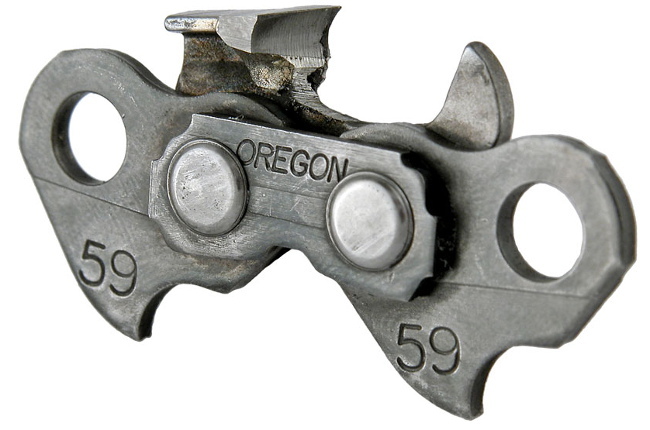 The company is now known as the Oregon Cutting Systems Division of Blount, Inc.
Their first patent application was made on guard links for saw chains, which is related to safety and kickback reduction, and resulted in fewer chainsaw accidents. 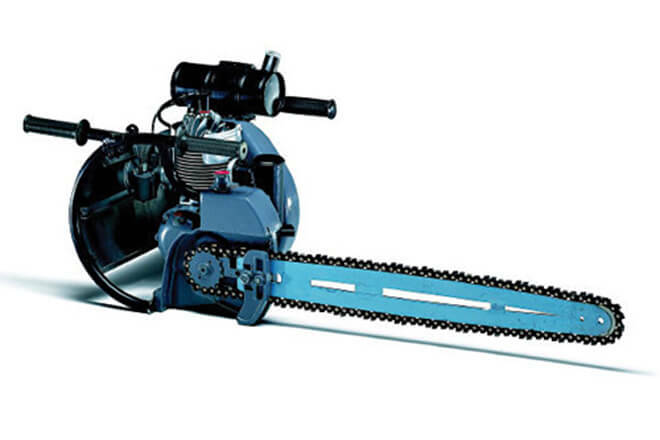 1949: MCCULLOCH MOTORS CORP. introduced the world’s lightest chain saw—the 25-pound Model 3-25. They invented their own chain saws and was renowned as the world’s first to have a range with electronic ignitions, turbo-action, self-cleaning, air cleaner; all of these have been patented. After several successions of the companies merging, and subsidiaries being formed from his company, the company is now known as the Oregon Cutting Systems Division of Blount, Inc.
1934: The chain and guide bar mechanism that was invented by an oil pressure lubrication system in the hand piece, eliminated the need for manual lubrication and was a boost to the functioning of the chain saw. 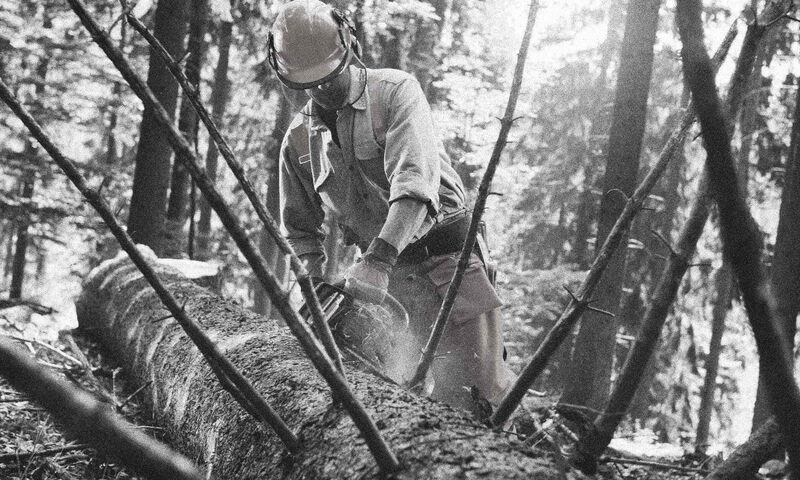 1964: the Anti-vibration technology made the way for a stress-free operation of the chain saw, so that it was more tolerable and workable; and is attributed to the cushioning technique used. This mechanism is attached to the handle of the saw, and inhibits the operation of the throttle, until the operator gets a firm grasp on the handle. This well-thought-through solution guarantees protection against a mishap, such as the saw slipping from the operator’s hand. ICS is superior in supplying the world with technology that surpasses others in the invention of a product that far outlasts that of their competitors. The concrete cutting machine is the answer to a life-long problem that builders can now embrace as the solution to their concrete-cutting, masonry, and stone needs. The diamond cutting chainsaw provides the strength and precision that enables cutting in extreme circumstances. This technology was patented in 1990 and the product is the lifeblood in the industry; with customers and manufacturers around the globe (more than 70 countries) taking advantage of the opportunity to purchase for use, and investment. ICS is revered as the benchmark for meeting the needs for concrete, masonry, and stone purposes, utilizing the highest performance ICS 890 hydraulic saw, which is fairly new to the market, and providing professional cutters, and general contractors with the right combination of electric or hydraulic tools. 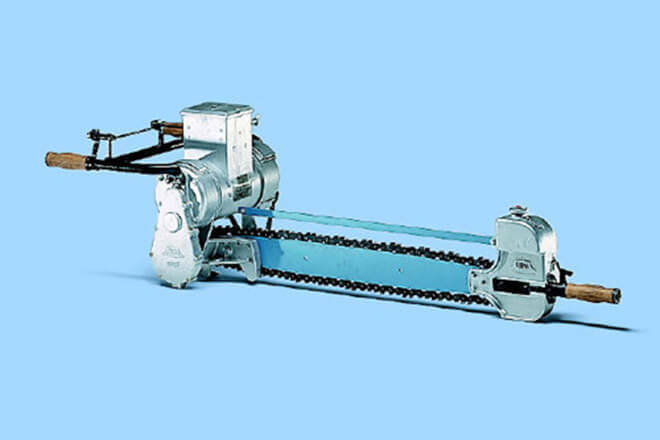 1959: HUSQVARNA, a Swedish Manufacturer in Stockholm, Sweden, started the manufacturing of chain saws; and in 1973 initiated the automatic chain break—a lever that stops the chain, avoiding kickback, a movement that caused serious injuries to the operator. In the year 2000 they started selling Model 375 XP, presented as the most powerful chain saw ever built. 1954: the first Light Chain saw was introduced; weighing 11Kg—Model BLK—representing Benzin (petrol); Leight (light), and Klein (handy, compact). This chain saw revolutionized the invention of this tool to a level that was unrivaled in its practical uses, for the least tedious undertakings, like pruning, chopping for firewood, and a variety of other easy tasks. There are pros and cons of using a hydraulic chain saw: finding the one that provides a powerful and tough pump, or an engine that supplies hydraulic flow that is adequate. Numerous models are available on the market. One of the downsides is that it is built primarily with underwater cutting of wood in mind. It’s used in military units in building bridges, and other construction endeavors, such as cleanup of creeks and wetland regions. One of the many advantages is that farmers and construction laborers who have access to hydraulic power sources, may find this a useful tool. Based on the ever increasing global population, the need arises for wood to furnish houses, furniture; so chainsaws is a vital commodity for tree cutting, sculpting, and countless other services. 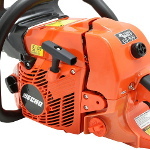 The sales from gas- and electric-powered chainsaws are used to calculate the market size, as these are regarded as the revenue-generating items. The global chainsaw sales market trends for 2017-2022 indicate a rise in technology, along with other challenges that face developers to pursue such technology in competing with international vendors. Forecast of the global chainsaw growth for the 2017-2021 period is 4.74%. Stihl’s is the No.1 selling saw… meticulous manpower heightens the structure of this flawlessly engineered machine. It maintains a clean air filter throughout its operation. HUSQVARNA 2 HP — modestly priced for minor or average jobs. Built strong and sturdy, it’s easy to handle. Advertised as indisputably the most powerful, successfully operated and impeccably engineered gas-powered chainsaw in the marketplace; and easy for the average buyer to handle. Significant advancement in technology and a price that greatly appeals to consumers, this OxyPower engine keeps emissions under control. This chainsaw is a great choice for small to medium undertakings. Smaller, but forceful, this mid-priced chainsaw exceeds top expectations. It meets the demands for pruning and lopping, and is easy to start. The powerful engine is small enough to be controllable, and accessible in small fitting areas. 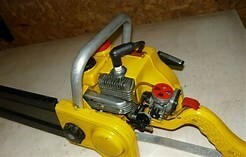 An efficient, powerful gas chainsaw with electronic ignition, it makes startup a light task; works well for cutting firewood, trimming; and cleaning up waste from natural disasters. Poulan Chainsaw Chain, 8 in. Poulan Chainsaw Chain, 10 in. Poulan PRO Chainsaw Chain, 18 in. Poulan PRO Chainsaw Chain, 16 in. Eager women learned safety tips about using the chainsaw at the Women Can Do Expo, held in Vermont Technical College in Randolph, Vermont. This Expo is an annual event staged by Vermont Works for Women, an organization of women committed to advancing in non-traditional careers; empowering them to pass on these careers to the generation to follow. Running the chainsaw skills booth is no easy task, but for Northwoods Stewardship Center, it is something they’ve contributed to for the past six years. They manage two stations: the beginners’ Safety and Starting Station, and the Cookie Station. Some students were not intimidated by the axe skills station; they promptly got their safety gear on; while others, who weren’t as excited, embraced the zero-risk after some coaxing; starting the saw without the chain, which was more appealing. Ready with their personal protective equipment (PPE), and their chainsaw revved up, the next step was to use the chainsaw to cut a tree cookie. Fortunately all participants of the chainsaw skills booth persisted, and were grateful for their involvement! This could be an educational, amazing toy for interested kids; since it is harmless and could occupy your child’s playtime in an enjoyable way, along with their friends. By engaging with the toy version, working alongside their dads and moms, kids can be trained how to utilize this tool, which may be useful in later years. There are many models from which you can choose and some of them have tool bags, helmets, gloves; and AA batteries are usually included. Christmas time is a great opportunity for giving this as a gift to children; and also for their birthdays. Many children enjoy landscaping and getting aboard when their parents are working outdoors. 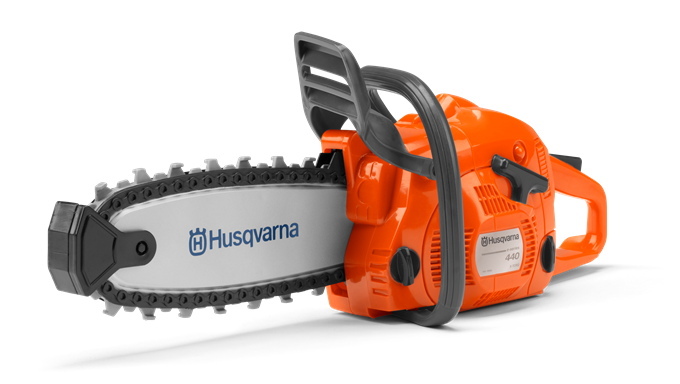 Husqvarna Battery Operated Toy Chain saw is 13.8 x 4.7 x 5.9; it weighs 1.6 pounds. It’s well made and secure, easy enough for young enthusiasts.